High-octane adventure! The Vagabundo from Capcom's Lost Planet 2 video game arrive in action figure form! 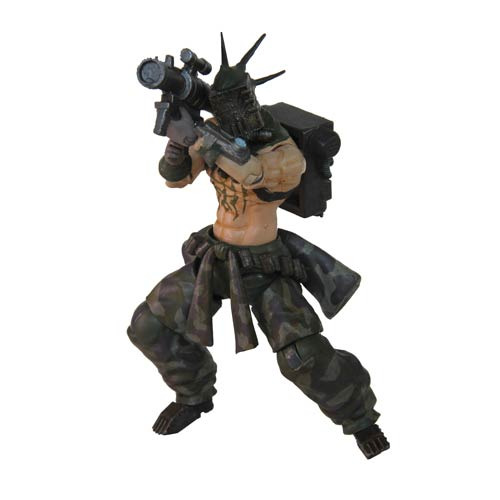 This highly detailed Lost Planet 2 Vagabundo 4-Inch Action Figure comes with the character's signature weapon accessories and is fully articulated, allowing for an advanced range of poses. While this 4-inch tall figure is a complete set on his own, the real fun of this series is to combine the figures with the mecha and various other vehicles found in the game (sold separately)! Perfect for army builders. Ages 15 and over.